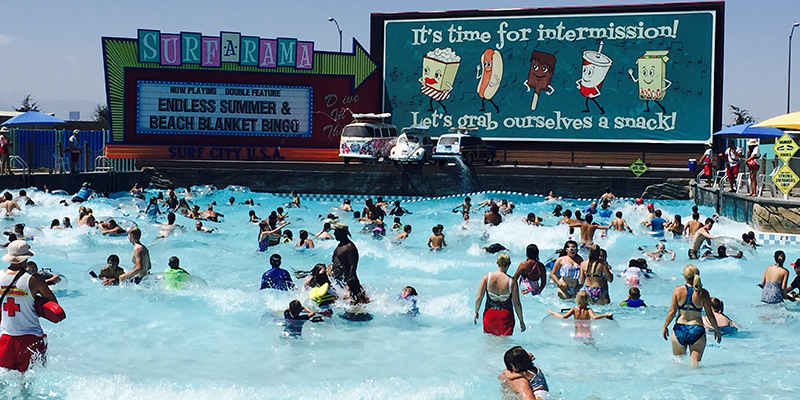 Following on the success of the Cowabunga Bay Waterpark in Utah, the owners set their sites to build their next waterpark on the outskirt of Las Vegas. Cowabunga Bay engaged ADG to design and build their new park to accommodate 25 water attractions, while incorporating theming into the overall park design and allowing for possible future expansions. 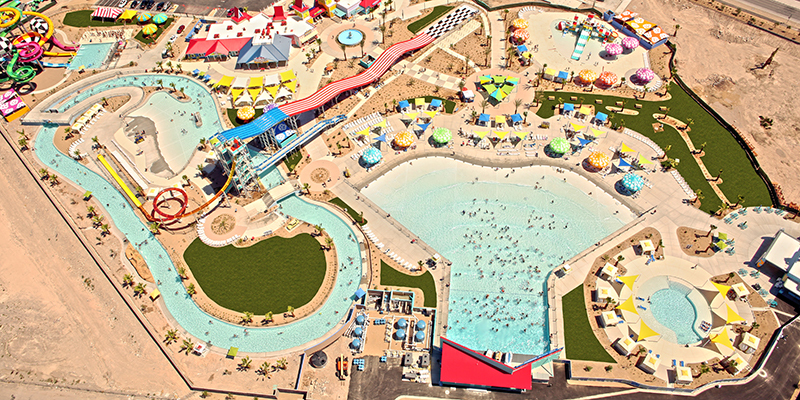 A key component to the Cowabunga Bay brand, ADG designed the park to evoke a true 60’s beach surfing theme, evident from the moment guests enter the gates, creating a true watery oasis in the desert. 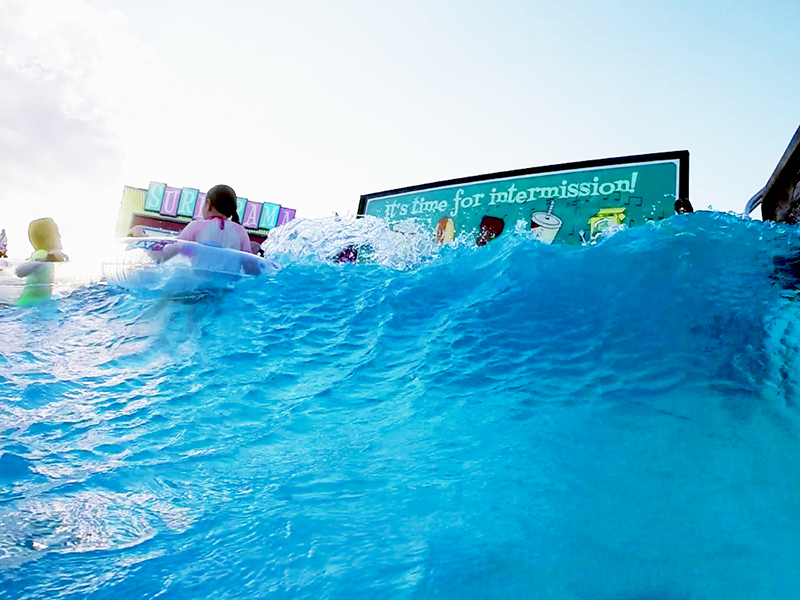 From Cowabunga Cove Kids Zone, to the Surfin’ USA slide, to beach side cabanas and F&B offerings, ADG’s design incorporates the theme of the park into every feature. 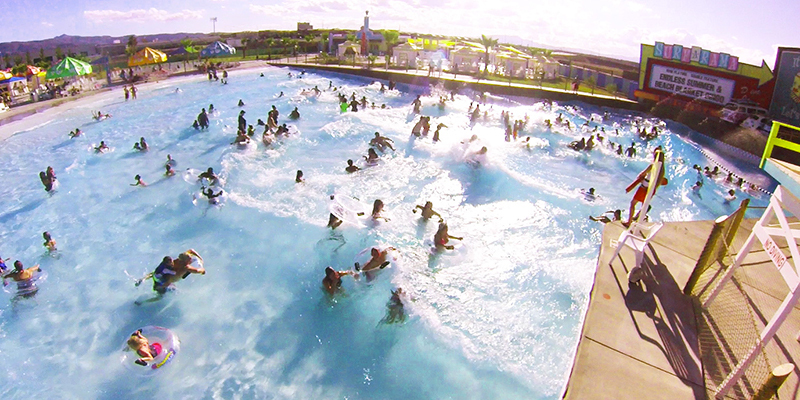 With over 25 rides and attractions, the focal point of the park is the “beach” centered around a one-of-a-kind, 35,000 sqft drive-in movie style wave pool designed by ADG with state-of-the-art, real-feel ocean waves powered by their exclusive Wavetek® wave generation system. 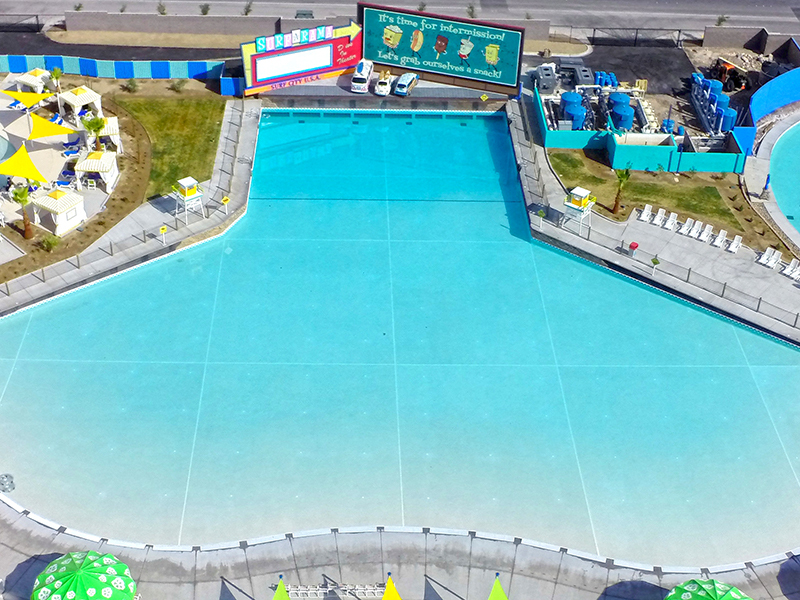 Another key attraction is the ADG designed lazy river, the longest ever built in the state of Nevada. Within a year of operation, the facility has become a landmark destination for local residents and visitors of all ages. With plans to expand of future expansion, Cowabunga Bay has attracted crowds, media attention and raving fans.